American-brewed bock beer may seem like a new shining jewel in the craft beer movement, but one small brewery in Texas perfected their version over a century ago. 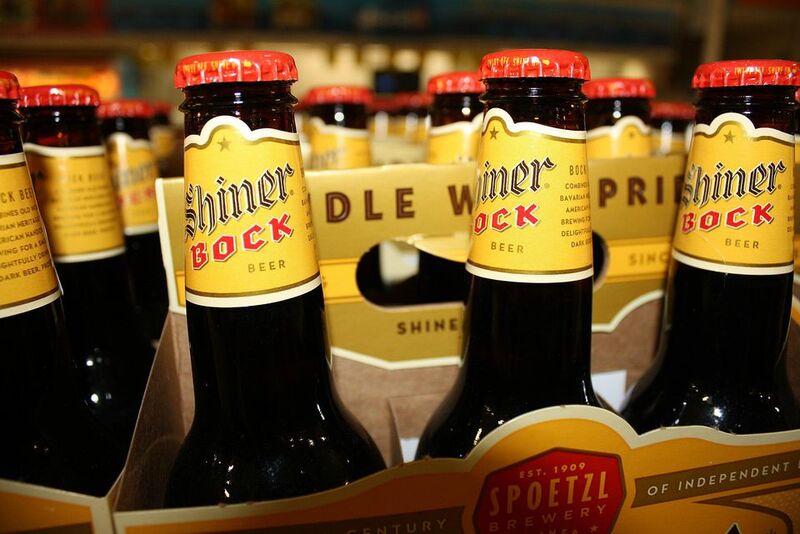 You probably know the name Shiner Bock and there's a good reason: it's a good beer. Shiner Bock may not appeal to every beer drinker, but it certainly has its place. For those seeking a nationally distributed alternative to America's big beer companies and who also want to avoid the bitterness found in many craft bock brews, this is a fantastic choice. The brewery was founded as the Shiner Brewing Association in 1909 by German and Czech immigrants with a desire for beer from the old country. Shiner Bock was introduced in 1913 and in 1915 German brewmaster Kosmos Spoetzl bought the brewery, giving it his last name. Over the years, Shiner Bock has developed a loyal fan base. The story goes that, in true maibock fashion, this lager was originally only brewed to be served during Lent. It was a seasonal beer for many years and came out every spring to the delight of locals. In 1991, Shiner Bock went national and its following increased. It is now available throughout the U.S. and year-round. The beer has also received numerous awards, including golds at the 2012 Great American Beer Festival and European Beer Star. Shiner Bock has a tan, dense medium head that leaves a nice quilt down the sides of the glass as the beer is drunk. Its body is clear with a copper to amber color. The aroma is very sweet, almost sugary, without the typical maltiness normally associated with this much sweetness. This is probably due to the corn used in the recipe. The taste is equally sweet without much depth and very little hops; certainly not enough to provide a good balance. It has a thin mouthfeel and is very effervescent so there's a slight sting on the tongue from the carbonation. This sweetness, though, is embraced by Shiner. Their website says of their bock that its taste is without the "excessive bitterness that characterizes many micro, specialty, and imported beers." This may very well appeal to drinkers that want something more interesting than the light lager of the mega-breweries but don't care for the bitterness of a lot of the craft beer out there. We find it cloying after only a few drinks. It would, however, make a very good beer to pair with Mexican cuisine or seafood including sushi. A year-round bock lager made with roasted barley malt and German hops. Brewed by Spoetzl Brewery in Shiner, Texas. Owned by The Gambrinus Company of San Antonio, Texas. Is Samuel Adams Boston Lager an Overrated Beer or a Worthy Brew?